An enchanting, exciting fantasy about a real-world girl searching for her sister in a land full of magic and strange creatures, blending the timeless feel of A Wrinkle in Time with Frozen’s powerful themes of identity, enchantment, and sisterhood. Kamilla Benko spent most of her childhood climbing into wardrobes, trying to step through mirrors, and plotting to run away to an art museum. Now, she visits other worlds as a children’s book editor. She currently lives in New York with her bookshelves, teapot, and hiking boots. 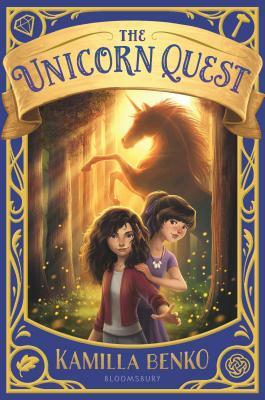 In addition to the Unicorn Quest trilogy, she is the author of the original Frozen novel that bridges the events of Disney’s massively successful animated movie and its upcoming sequel.